Hot Wheels Spiral Stack-Up Playset! School is now over and my 5 kids, ages 5- to 10-years old are out in full force! Therefore, I find that on rainy days and lazy days, it's essential to have activities available when the kids are indoors. The combined activity of building a playset and then playing Hot Wheels cars with it, keeps my boys occupied in a constructive fashion. They love to build new track structures and roadways, problem-solve when they're not architecturally sound, and use their imaginations when playing cars together. I've mentioned previously that studies have shown that play improves memory, language skills and can help with academic focus. It's simple to engage kids with educational play-based activities, and to continue the learning process all year round. The Hot Wheels FUNdamentals Learning Project is geared to teachers and parents of kids ages 3- to 7-years old, and is intended to encourage learning over the summer vacation. Choose from level JK/SK and grade 1 lesson plans, and then print out the sheets with just a click. Download FREE lesson plans and an activity book featuring Hot Wheels toys! A short while ago I wrote about the Hot Wheels Super Speed Blastway playset, which my youngest sons really enjoyed. The boys also tested out the Hot Wheels Spiral Stack-Up playset, which was quite suitable for 5- and 6-year olds. Parent assembly is definitely required, but my 6-year old placed all the sticker decals on the set all by himself and helped interpret the instructions. 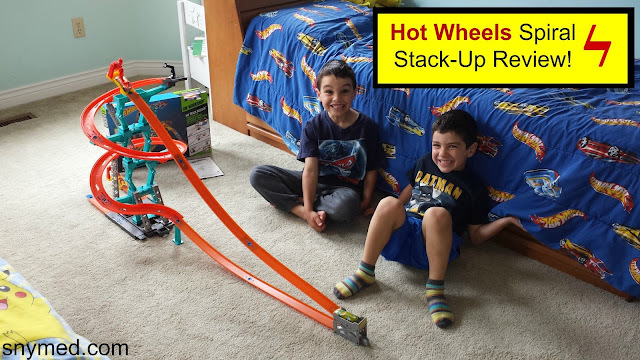 Watch the VIDEO below of the Hot Wheels Spiral Stack Up playset! What is your child or grandchild's all-time favourite toy (or toys)? What activities are the most popular in your household on lazy or rainy days? My Boys Ready to Tear Into the Hot Wheels Super Speed Blastway! My kids are counting down til the last day of school, which is now 6 (school) days away for them. While I rejoice for summer, I also know that there will be challenges keeping the kids engaged during this ten-week period. Let's face it, with 5 kids ages 4- to 9-years old, I'm greatly outnumbered! Therefore, it's imperative to have some activities in my back pocket that will allow the kids to blow off some steam, such as trampolining, foam swords battles, and an arsenal of balls for soccer and floor hockey. When I'm able to blend physical activities with cerebral ones over the summer, I feel like I'm keeping the kids properly stimulated. Have you heard of the Hot Wheels FUNdamentals Learning Project? This is a programme geared to teachers and parents of kids ages 3- to 7-years old, to encourage learning over the summer vacation. Download FREE lesson plans and an activity book featuring Hot Wheels toys! Choose from level JK/SK and grade 1 lesson plans, and then print out the sheets with just a click. Did you know that studies have shown that play improves memory, language skills and can help with academic focus? It's easy to engage kids with educational play-based activities, to continue the learning process all year round. My youngest two guys love cars like Hot Wheels, so that's an easy hour that they can spend playing indoors or out. Add the Hot Wheels FUNdamentals Learning Project to the mix, and I've taken play to a higher level--and extended their learning. 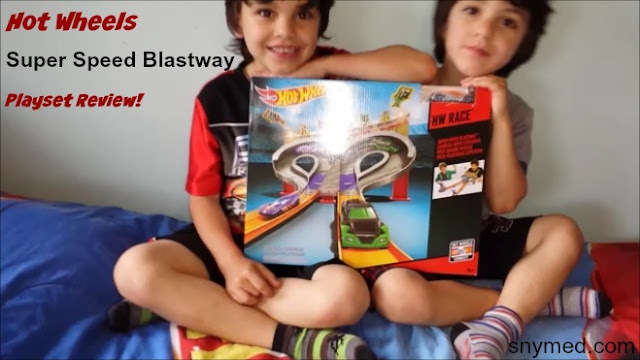 Check out our VIDEO review of the Hot Wheels Super Speed Blastway playset, below! It was a big success with my high-energy 4- and 6-year old sons! How do you keep learning alive in the summer months with your kids and grandkids? What are your child's or grandchild's favourite learning activities (ie: counting games, pattern recognition, puzzles, etc)? 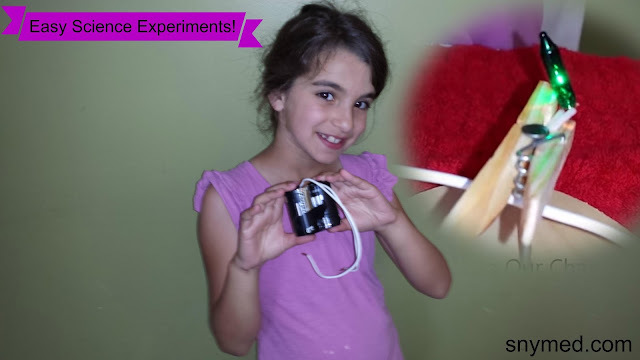 Make a Power Pack & Light Up a Light Bulb With These Easy Science Experiments! With summer just a breath away, here are some easy science experiments using D batteries that you can do at home on a rainy or lazy day! For additional inspiration, check out the scribble robot that we built on another day! Did You Know? Energizer recently launched the new Energizer EcoAdvanced battery, their longest lasting AA high-performance alkaline battery, high-performance AA battery, and the world’s first battery made with 4% recycled batteries. This battery is a first step in a journey towards a goal of developing batteries made with entirely recycled materials – hoping to reach 40% by 2025. -Get involved with STEM at home, through fun experiments that can be created using simple materials you may already have. -Help choose the next child innovator by voting for their favourite dream creature at joinenergizer.ca! 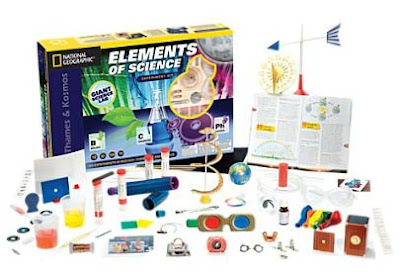 WIN This National Geographic Elements of Science Kit from SnyMed.com! WIN the National Geographic Elements of Science experiment kit from SnyMed.com and Energizer! Contest open to Canada and closes on Monday July 13th, 2015. Leave a COMMENT below stating how your kids or grandkids occupy themselves on a rainy or lazy summer day? OR have you ever tried do-at-home science experiments with the kids to learn and pass the time? Then, use the entry form below to enter the contest. GOOD LUCK! Fitness Is a Family Affair - Join the Canadian Tire WannaPlayChat Twitter Party! If you're a regular to my blog, you'll know that I shout from the rooftops about family health, fitness, and nutritious eating. 29 months ago, I embarked on a journey to bring health back to my family--and I lost 80 lbs by making simple changes to our lifestyle. We keep the kids active by swimming weekly, jumping on the trampoline, running together, biking, riding the scooter, and walking to any local destinations. It's really not hard to fit physical activity into our daily routine. You can see a video of the kids combining sword fighting and trampolining, below. 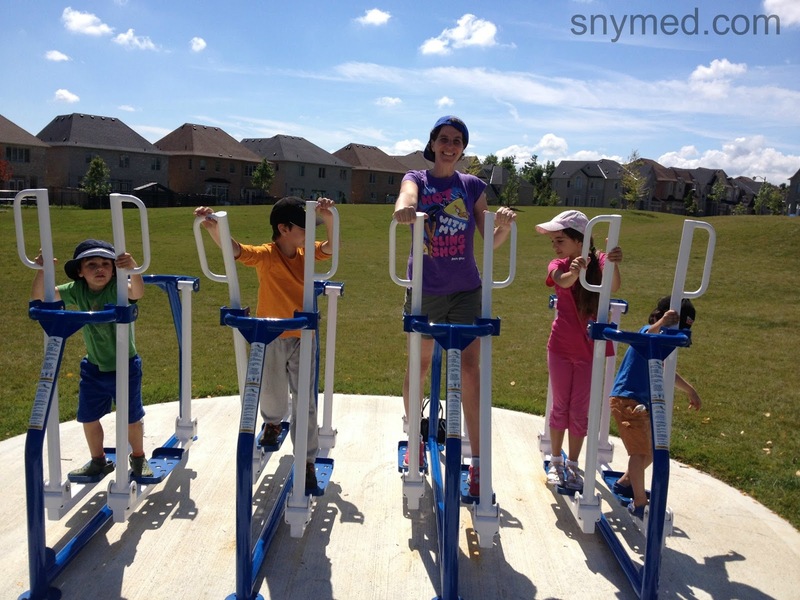 Did you know that Canadian Tire is committed to getting kids more active with their families? Get outside and share photos or videos of how your kids play using the ‪#‎WannaPlay‬ hashtag! Join the Canadian Tire #WannaPlayChat Twitter Party on Tuesday June 16th, 2015 from 8:00-9:00 pm EST. There are fantastic Canadian Tire gift cards to be won ($1000 in prizing)! How do your kids or grandkids like to be active? What was your favourite way to be active as a child? I wrote a very happy review of Santa's Village almost 2 years ago, which has been read by thousands. If you're curious about the theme park, I highly recommend that you read it. 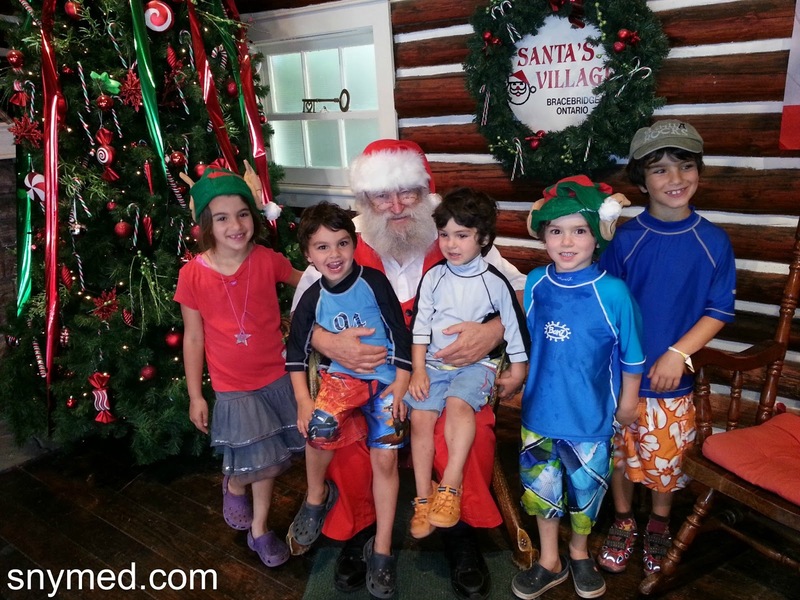 Let's face it: Santa's one popular guy, and families love visiting him in his "summer home"! How the time has flown by, as Santa's Village has turned 60 this year (it was established in 1955). This is a true Canadian institution. Read below for a $5.00 discount per person at Santa's Village--exclusively for SnyMed.com readers, and for my Santa's Village contest! What's New at Santa's Village for 2015? 1.Aerial Adventure Park on Elves Island - Kids as young as 3-years old can climb the brand-new Aerial Adventure Park on Elves Island! There they can navigate wire rope constructed courses soaring 6 to 9 feet in the sky (a closed loop connection systems makes this attraction safe for youngsters). Christmas-themed obstacles line the path, making the challenge lots of fun! 2.Expansion at Muskoka Ziplines & Aerial Park - For older kids and adults, the Muskoka Ziplines and Aerial Park at Santa’s Village’s Sportsland have grown in size threefold! The parks include an enhanced obstacle course, new zip line course, and, a jump tower with 40- and 70-foot platforms (calling all extreme thrill-seekers)! 3.Summer Santafest - On July 25th, celebrate 60 years of Santa's Village in downtown Bracebridge! The first annual Summer Santafest promises fun and excitement for families! Don't miss it! Follow Santa's Village on Social Media! SANTA'S VILLAGE $5 OFF COUPON (PER PERSON!) FROM SNYMED.COM! WIN Family Tickets (for 4) to Santa's Village from SnyMed.com! Tickets are good for the 2015 season, with tickets expiring on September 13, 2015. Contest open to Canada and closes on Wednesday July 1st, 2015. LEAVE A COMMENT BELOW, stating if you've ever been to Santa's Village before (do you have any fond memories? ), OR who you'd like to WIN these tickets for. Then, use the entry form below to enter the contest. GOOD LUCK!